I have read the 32-page Memorandum of Understanding (MOU) between Amazon and NYC/NYS. I have read most of what others have written on the HQ2 deal and incentives. I am a financial analyst by training. Most importantly, I have lived in Long Island City for ten years and have closely tracked all that goes on here, both economically and non. Despite all these attributes and many hours of due diligence, I have no idea if the Amazon deal the Governor and Mayor struck is a good one. Estimates of the dollar value given to Amazon to locate HQ2 here range from $1.7 billion to $3 billion. That’s a pretty wide span and is indicative of the complexity of the agreement, as well as the fact that it is performance-based, with the main criteria being the number of jobs the company ultimately locates here. Similarly the reactions to these figures range from utter indignation that NYC would pay anything to Amazon to locate here, to expected financial returns-on-investment on those billions that would best Buffett over the last half century. The latter came from our governor, whose resume includes no mention of proficiency in Excel. As for the naysayers, even if the deal didn’t pay a cent to Amazon they would be against it …and in front of the cameras. Yet they have an important role to play, so let’s put that thought on hold. Likewise, for the sake of analysis, let’s eliminate the target of their ire and work backward: would this be a good thing if zero incentives whatsoever were offered? Absolutely, it’s good for both NYC and LIC. More jobs is good, more tech jobs is better, 25,000 tech jobs from a cutting-edge employer who is building a campus from the ground up and whose presence puts a town on the map is a bonanza. Yes, those renting in LIC will no longer be able to avail themselves of LIC Glut pricing and those near the waterfront will actually see increases. Yes, the remaining artists in the neighborhood will get squeezed out completely. Yes, LIC will become completely gentrified. But LIC is a suitable neighborhood for gentrification, given its main attributes (central location & transportation) and its shortfalls (not that beautiful, not optimally utilized). 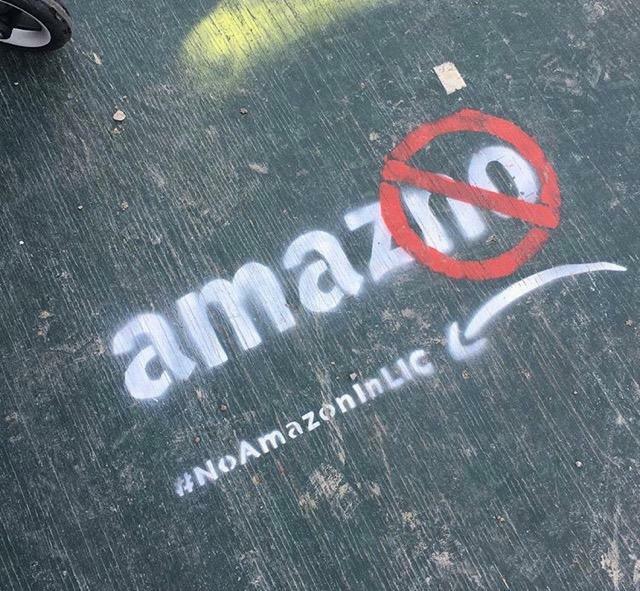 The end of the art community came with the destruction of 5Pointz, Amazon’s arrival just hastens the clean out. I don’t mean to be callous, and I’ll truly miss the rawness and diversity of the old LIC, but its soon-to-be sterile landscape will have little to do with Amazon’s arrival, and not be very nurturing for those artists looking for inspiration. As for real estate, there will very clearly be winners and losers. The aforementioned market-rate renters as well as those retailers who can’t pass their rent increases through to the consumer when they’re leases roll, will both get the short end of the stick. On the other hand those in affordable housing will be untouched, and those who own their homes will finally receive pricing on par with Manhattan and northern Brooklyn. Of course the biggest winner will be those landlords collecting all those rents, as well as the developers in the midst of constructing condo buildings – both of whom received a lifeline via Amazon. It’s inequitable for sure, but there’s no other way to land a big fish. That’s capitalism – and luck does play a role in it. Here’s where I’d like to say that assisting or guiding that luck with government subsidies should not be part of the equation, but increasingly in 21st century America that is not the case. Even with such an attractive proposition of being located in NYC. In looking at the numbers my instinct tells me the Mayor and Governor had a lot more leverage than they realized and could have made a better deal. Their problem was threefold: 1) they were not good poker players, 2) they were playing with other peoples money and 3) they were never willing to walk away from the table if the deal didn’t work. Sheepishly, the MOU has a line item for all the goodies for the neighborhood that Plaxall included in their original rezoning plan: a site for a new school, a tech incubator, and some dedicated art & light industrial space1. Couldn’t these have just been netted from the $1.7 – $3 billion in incentives and been paid for directly by the city? Yes, but it would have barely budged that range lower. That’s where our local pols come into play. At the very least Long Island City should be getting more. Why? Because there’s one more thing Amazon will get that is not included in the billion++ incentive figures – a complete rezoning of the Anable Basin sight, where they will locate their new campus. That’s a big concession, most significantly for the immediate neighborhood, which will have to endure the scale (and construction). 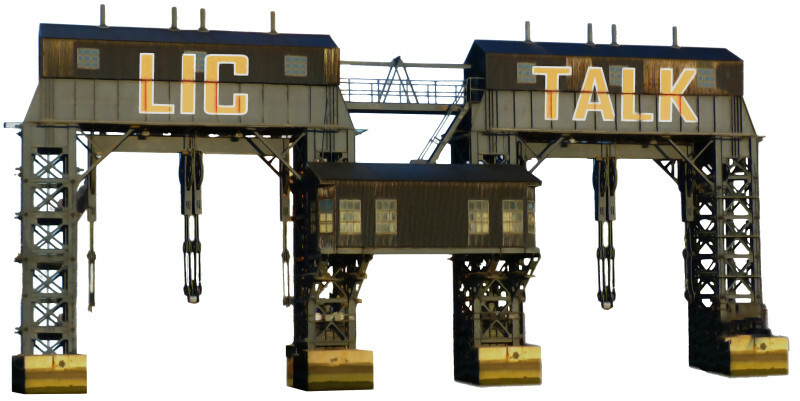 While major landlords such as TF Avalon and Tishman Rockrose just won the lottery in terms of garnering higher rents and thus valuations for their buildings, shouldn’t the locals get a few more crumbs than another school (yawn) and ersatz artist/light industrial feel-good dioramas? How about that long overdue recreation center which would allow workers and locals to mix and workout together, instead of one dedicated solely for Amazon employees. In light of this huge deal and 25k workers it can take advantage of large economies of scale. Now is the time to think big – instead of it’s being a conventional YMCA-type, maybe something more comprehensive by adding programs for the mind too – like they do at the 92nd Street Y? How about making that school one of NYC’s elite Specialized High School? There are only nine currently, it’s time for a Queens Technion! I can’t think of anything more appropriate for NYC in light of the spirit of the changes afoot. Neither of the above requests would add significantly to the costs, but boy would they really enhance the neighborhood. They might even sugarcoat the terrible optics of including a line item for a helipad in the MOU while leaving so much else vague. In summary, I think I can live with this deal. I recognize the collateral damage that will occur, and acknowledge that a lot of other things can be done with the $billions, but in the long run I think it will be good for NYC, and with a few tweaks it will be great for Long Island City. Pure capitalism is based on work, not subsidies. We are paying for Amazon to establish a blueprint in NYC. Forget about the jobs, because they provides no benefit to existing residents. It will cost more to existing residents to live in LIC and we will have lead to more congestion – – – impacting public transportation, schools, traffic, and the cost of services. The city and state are paying too much to attract jobs, and the expense will be shared by all New Yorkers, but the negative impact will be clearly be felt by the people in LIC. Progress is great, but not at our expense. The Governor, Mayor, and ESD could have made a better deal. They did not. The destruction of 5 pnts was not the end of the arts scene in LIC. It took a hit, but it is very much alive and needs to be protected. The arts are a big part of what makes LIC attractive. Current residents want and support the arts and the techies to come will want to also. Yes to a rec center, a good one, with an indoor lap pool (I betray my bias as a swimmer). And more green space, please. If you lived here prior to the construction of QW you have a right to complain about the negative impact. The rest of you have been amazoned. How does it feel?